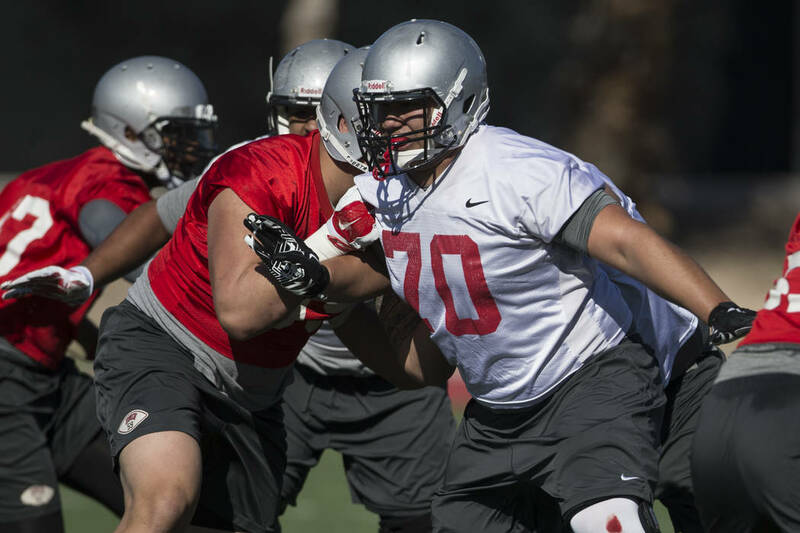 Competition for spots is heating up after only two days of UNLV’s football training camp. Linebacker Bailey Laolagi and offensive lineman Sid Acosta have shown their versatility by playing multiple positions. 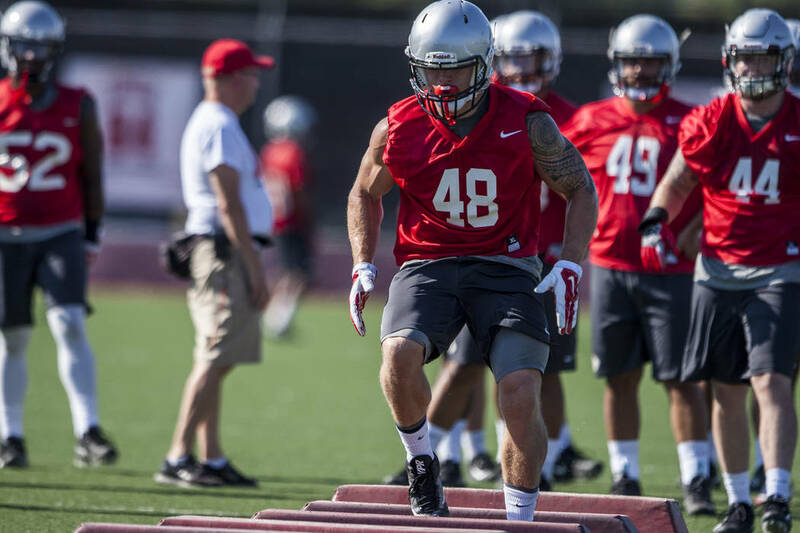 — Senior Bailey Laolagi is listed as a co-starter with junior Gabe McCoy at weakside linebacker, but worked some in the middle. Coach Tony Sanchez said Laolagi is capable of playing all three linebacker positions, and where he lines up largely depends on the opponent. — Sanchez singled out freshman wide receiver Tyleek Collins, saying, “He showed he could be a pretty special player for us.” Collins was a three-star recruit, according to Rivals and 247Sports, out of the Atlanta area. — Competition is heavy at a handful of positions, with players taking turns with the first-team lineup. Junior Sid Acosta, in particular, showed his versatility by playing left guard on Friday and center on Saturday. More Rebels: Follow all of our UNLV coverage online at reviewjournal.com/Rebels and @RJRebelson Twitter. Contact Mark Anderson at manderson@reviewjournal.com. Follow @markanderson65 on Twitter.